From the beginning of Cranbrook’s history in 1904, place names at Cranbrook have evolved and changed. Once the Booths turned the original mill pond into a lake, they named it first Glassenbury Lake (after Glassenbury, England), then it was known as Cranbrook Lake for a very short time, and ultimately Kingswood Lake. The man-made Jonah Lake (or Lake Jonah as it is also known) was originally called Lake Manitou. Brookside School was originally called Bloomfield Hills School and Cranbrook School was Cranbrook School for Boys. Although Brookside School retains its name, since 1985 when the boys and girls schools merged, they are jointly known as Cranbrook Kingswood Schools. Building names have also changed, often due to an alteration in use or sometimes because they were dedicated to an influential or long-time faculty member. The Garden House became the Cranbrook Pavilion and is now St. Dunstan’s Playhouse. The Cranbrook School academic building became Hoey Hall after former Headmaster Harry Hoey and what was originally called the “Arcade” is now known as the Peristyle at the Cranbrook Art Museum. Lyon House was first called Stonelea (after its owner Ralph Stone, a long-time friend of George Booth), then Belwood, then the Kyes House before being acquired by Cranbrook. And even Cranbrook Educational Community is not our first name. In 1927, the Booths established The Cranbrook Foundation as the legal and financial entity that oversaw the then six institutions: Brookside School, Christ Church Cranbrook, Cranbrook Academy of Art, Cranbrook Institute of Science, Cranbrook School, and Kingswood School. So, what is really in a name? How do we name our campus buildings and landmarks going forward and what legacy will we be imparting with them? That said, I wish you all a Happy New Year! Or should I say Bonne année? Feliz Año Nuevo? Or maybe Xin nian kuai le? From the Virginia Kingswood Booth Vogel Papers. 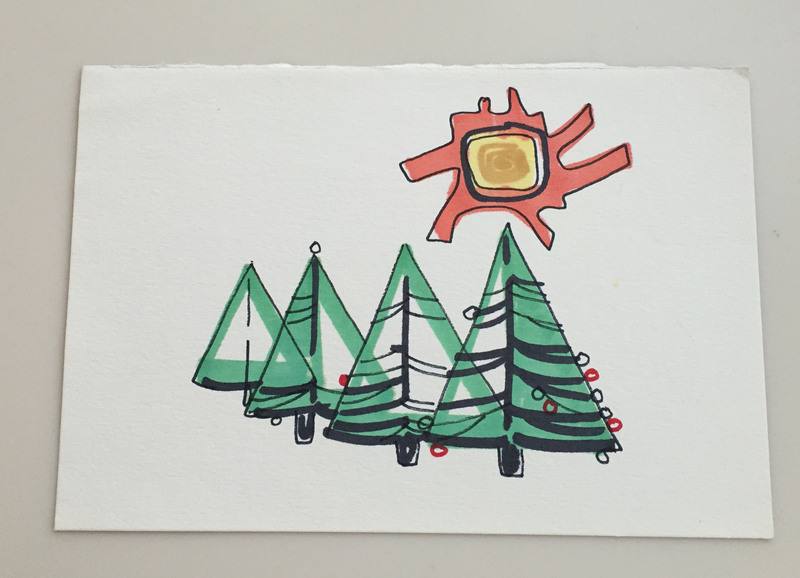 With the end of December quickly approaching, we’ve received several holiday image requests. 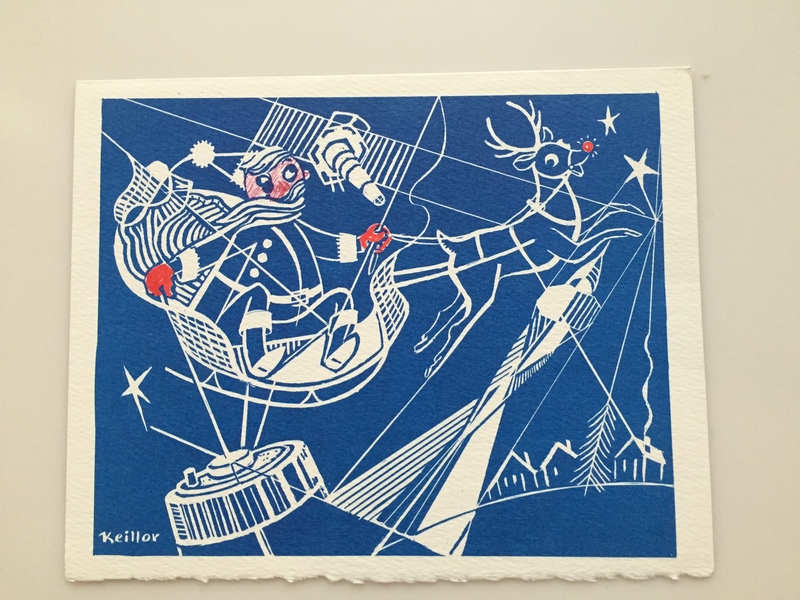 While looking through different collections, I came across these amazing holiday cards that were made by Cranbrook Academy of Art students and sent to Margueritte Kimball (1906-1995). Margueritte visited Cranbrook for the first time in 1941. She was introduced to Wallace Mitchell, head of the Painting Department, who examined a few of her drawings, and eventually accepted her as a student to the Academy. She began attending classes in the summer of 1942 and, at the same time began her career as the Academy’s financial secretary — a position she held for twenty-six years. Known by many in the Cranbrook community, Margueritte became close with students and faculty at the Academy and collected correspondence and student materials from art exhibitions throughout the years. Although she never graduated from the Academy, she did receive an honorary degree late in her life. 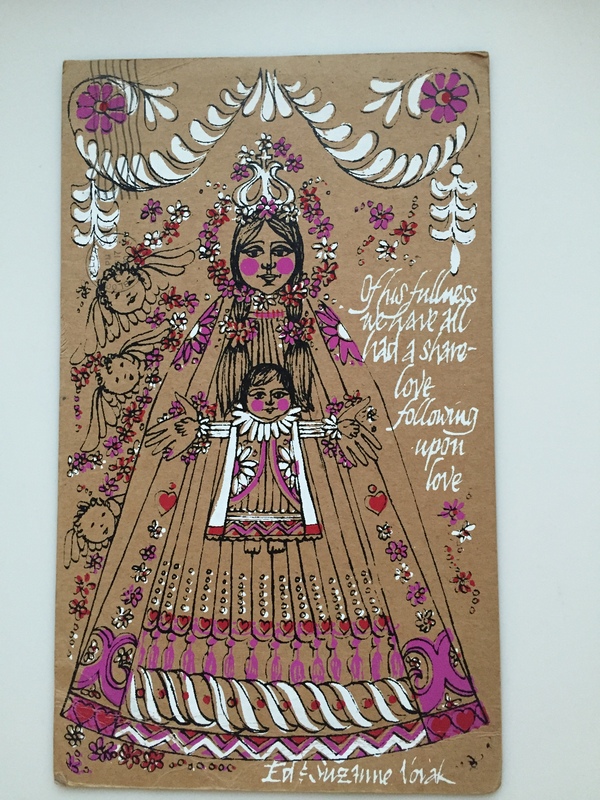 I hope you will enjoy some of the holiday samples from her collection. Happy holidays! 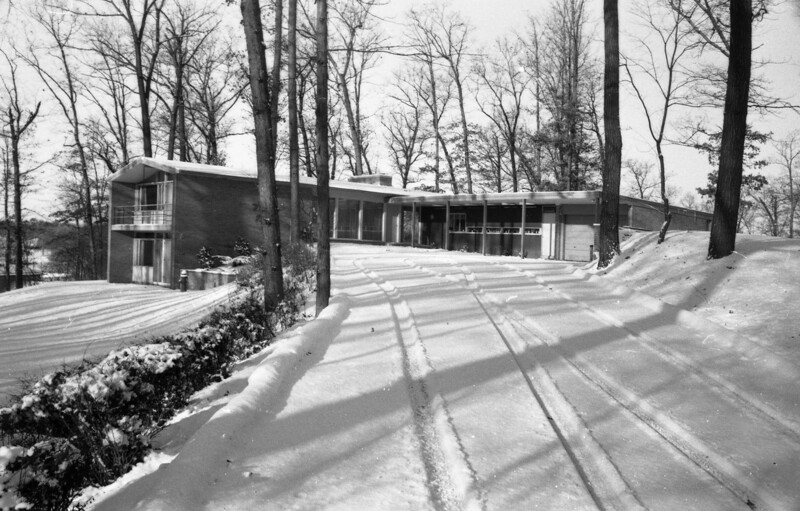 Kingswood School Headmistress residence, 1955. 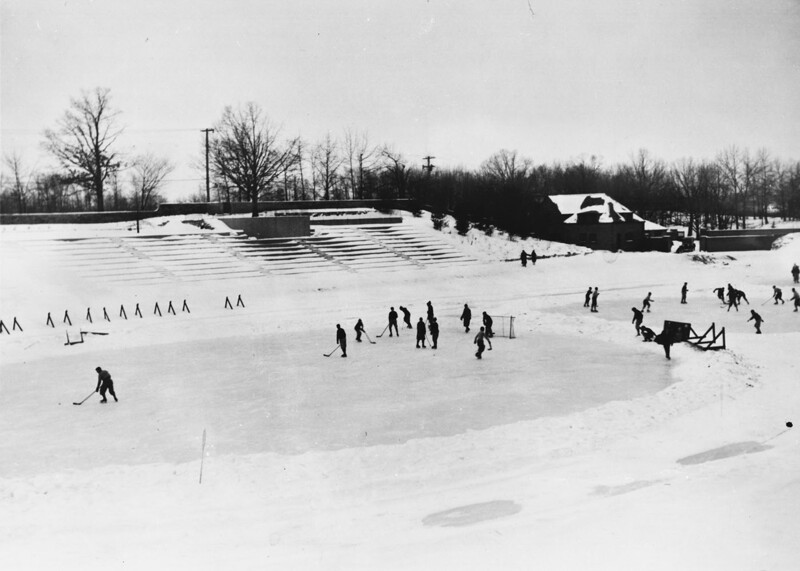 Boys from Cranbrook School playing hockey outdoors, 1928. 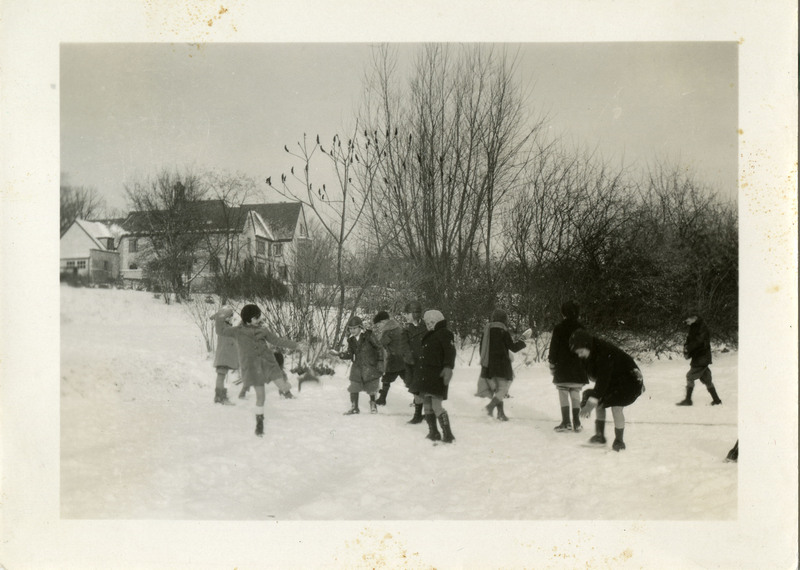 Brookside children ice skating, 1928. 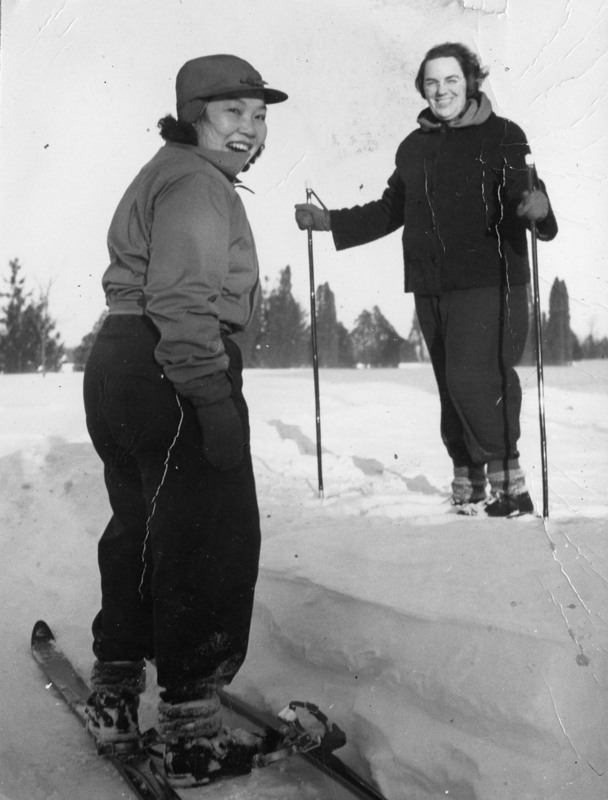 Academy of Art students Florence Chang and Margueritte Kimball cross-country skiing at Cranbrook, 1944. 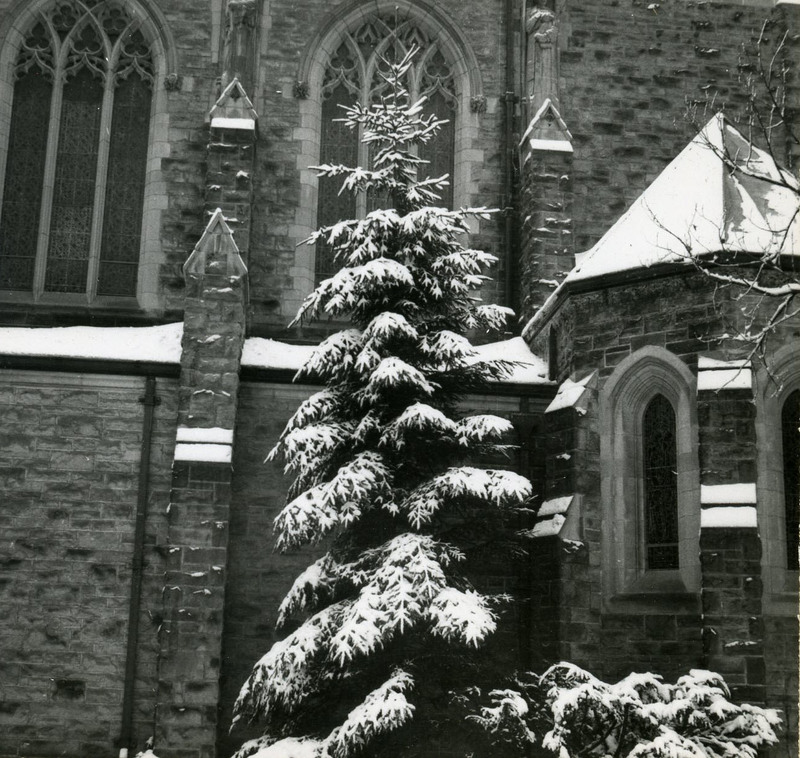 Christ Church Cranbrook, ca 1938. The Cranbrook Archives exhibition, Designs of the Times: 100 Years of Posters at Cranbrook, opens this weekend. The exhibition documents events and performances that have enhanced and enriched the Cranbrook community for more than a century. 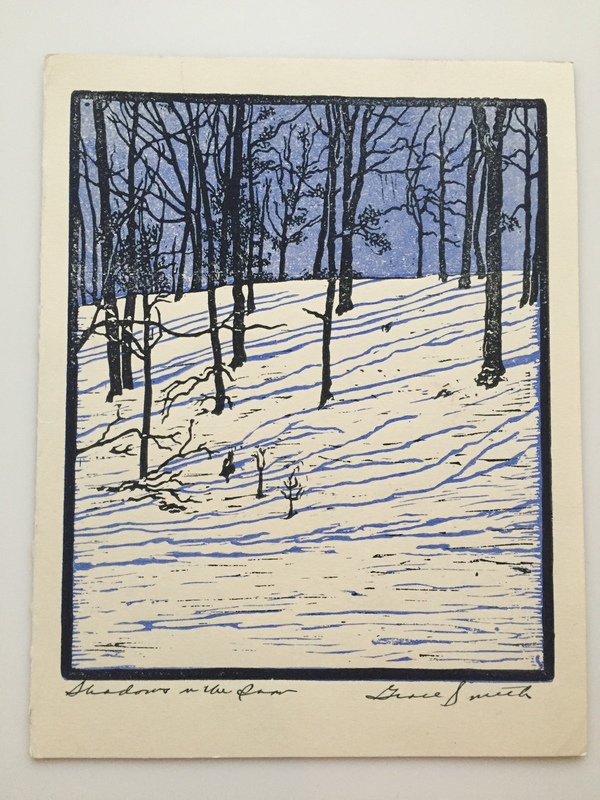 The image below is just one of many that will be on display through March 20th, 2016. 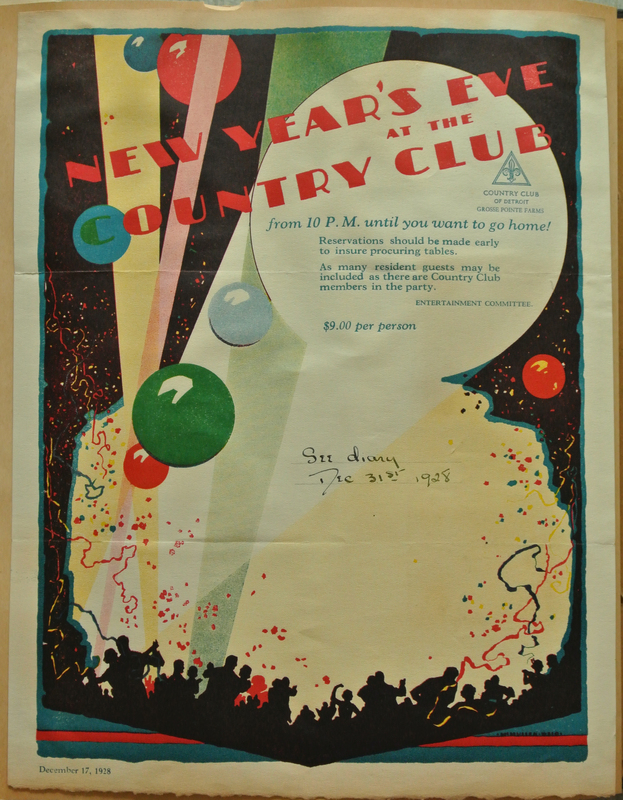 This poster, signed “M.W.” was designed by Michael Justin Wentworth (Cranbrook School ’56). In addition to designing posters, Wentworth was the art editor for both the Brook and the Crane, and designed the sets for the Ergasterion productions and the scenery for the bi-annual Operettas. He received his MA and MFA from University of Michigan, and his PhD from Harvard where he wrote his dissertation on the artist James Tissot, a lifelong interest. The posters in the exhibition represent all areas of campus – we hope you come check it out! Last night I ran across an article in the Huffington Post about a new blog at the Library of Congress called “Worlds Revealed: Geography and Maps.” Maps have always held a fascination for me, in fact, I am trying to teach my daughter to read a road map instead of using “Siri” or Google Maps to find our way somewhere. This generation just does not understand the value and intrinsic beauty of maps. My friend Maria, for example, is a map-aholic. One time we spent several days of our vacation obsessing over a jigsaw puzzle of a map. For the past 35 years, I have used numerous types of maps and atlases in my personal family history research, and in our work here at the Archives, maps, site plans, topographical maps, landscape architecture maps, and more are used weekly by our campus architects, architecture students, and scholars from across the country. While the map collection at Cranbrook Archives is nowhere near this extensive, we do have an interesting range of maps. Below are some examples. Map of the Copper Range of Northern Michigan, n.d. Sketch Map of Cranbrook, 1912. Sketch, Sedalia, CO, 1919. Robert T. Hatt travel journal. Finance Building doors, Harrisburg, PA, 1938. Sketch by Carl Milles. Campus Plan for the College of William and Mary, Competition Packet, 1938.